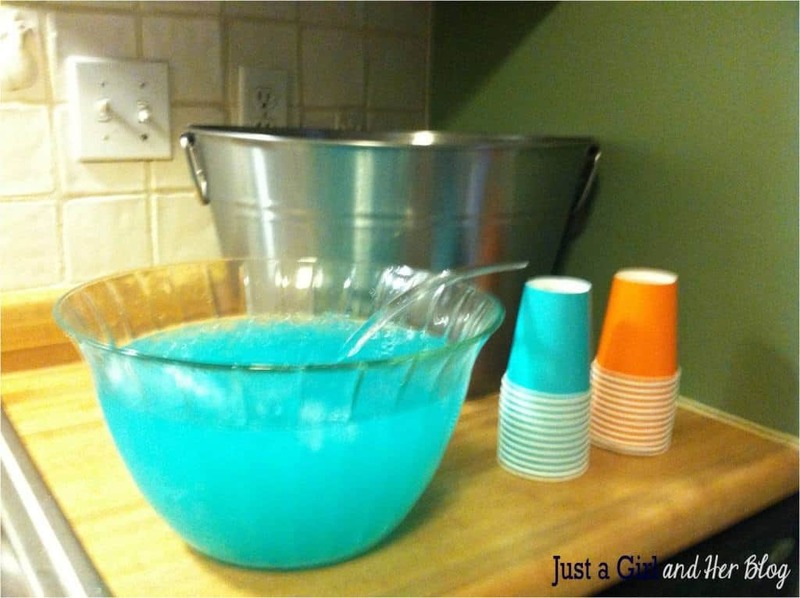 How in the world do you make blue baby shower punch? 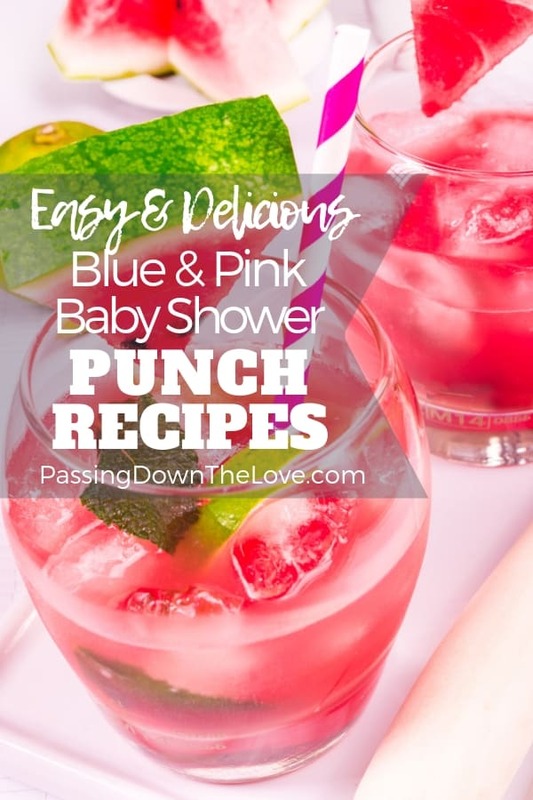 Well, I’ve tracked down some blue and pink baby shower punch recipes for your Grandma Shower. Do you know that serving punch at a baby shower is a long-standing tradition? Way back in the day of dinosaurs, when I was given a baby shower, we had a baby shower punch. Remember the kind with sherbet floating in it? So good, right? Baby Shower Punch may be a little “too much” to serve at your Grandma Shower, but these recipes would be great to share with your Grandkids as a special treat or birthday, for your niece’s shower, or to pass along to your daughter to use at her friend’s wedding shower or baby shower. 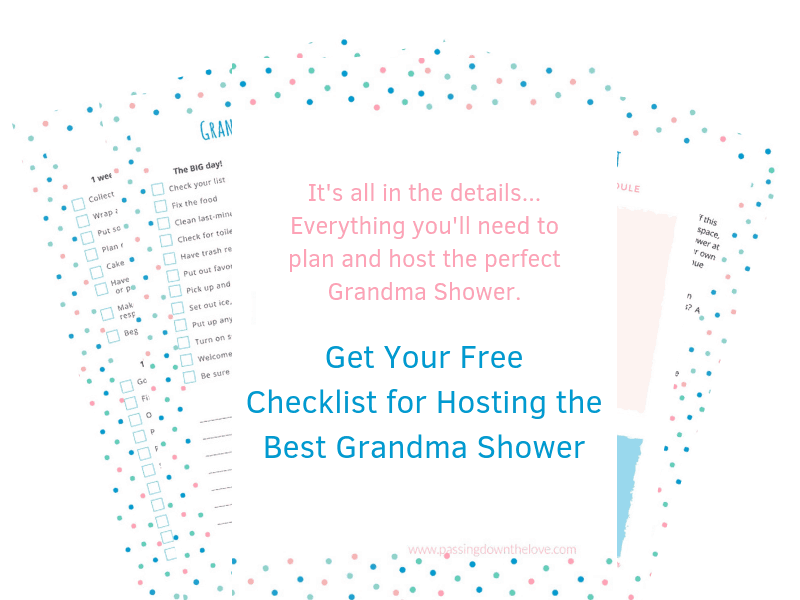 If you’re planning a shower, you’ll also need our Shower Planning Checklist. There are several different ingredients you can use to end up with a blue or pink baby shower punch. 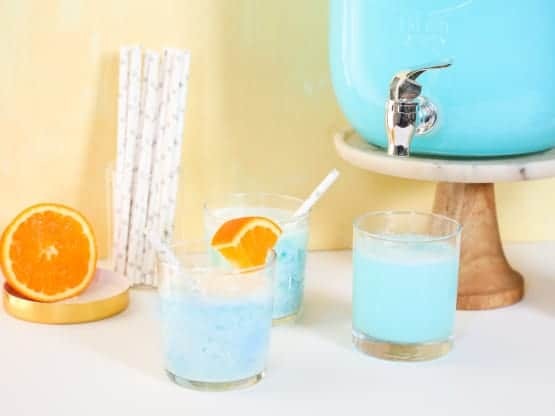 For blue baby shower punch, you could use blue Kool-Aid, Gatorade Cool Blue, Gatorade Glacier Freeze, Fanta Blueberry, Hawaiin Punch Berry Blue Typhoon, or Hawaiian Punch Polar Blast, (a little turquoise – perfect for a beach theme or water-related punch). Did you know Pepsi Blue was a “thing”, but it was discontinued in the U.S. in 2004? Too bad, because that would have been awesome – blue and fizz both in one drink! But it’s available in Indonesia or the Philippines if you happen to live or visit there. That’s according to Wikipedia. For pink, there are many more choices. Dilute any “red” drink, and, hey, you get pink! Try Original Hawaiin Punch, red Kool-Aid (cherry, strawberry, etc. ), cranberry juice, watermelon, V8 Strawberry Banana, red soda like Cherry 7-up (which is already a little pinkish), or Minute Maid Fruit Punch. The list of red liquids to use in pink baby shower punch goes on and on! The trick is to meld the blue or pink with other flavors and colors to get the look and taste just right. Whether you prefer a blue baby shower punch or pink baby shower punch, there should be a recipe here that suits you. 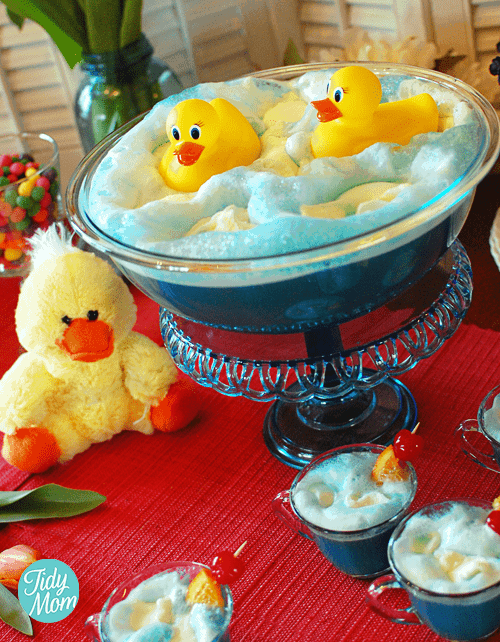 Cheryl at Tidy Mom has this cute Ducky Baby Shower Punch Recipe. It uses Ice Blue Raspberry Lemonade or Berry Blue flavors of Kool-Aid. Floating ducks finish it off perfectly! Isn’t this darling? Genius Kitchen has a Blue Shower Recipe from a contributor, @ProbablyThis. 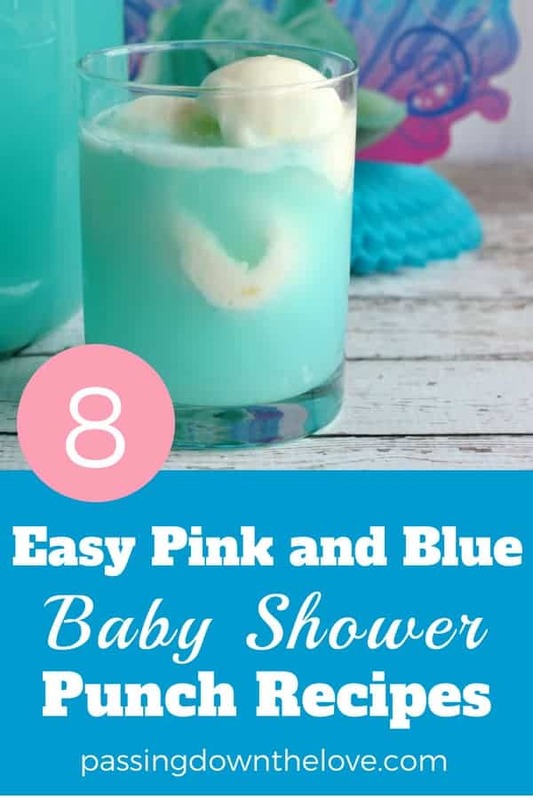 They use Kool-Aid and Pina Colada mix to make this a pretty light blue color, perfect for a baby shower punch. 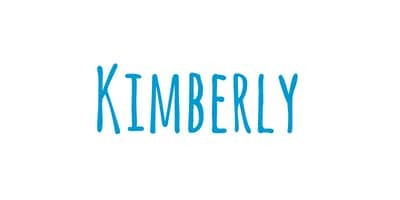 This Baby Blue Baby Shower Punch from Abby at Just a Girl and Her Blog is super simple. She uses white cranberry juice and vanilla ice cream for an unexpected taste. 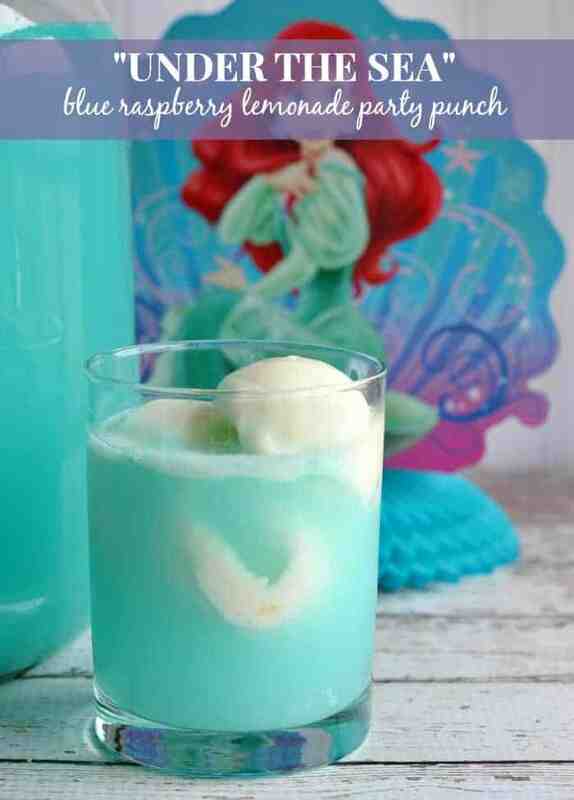 “Under the Sea” Blue Baby Shower Punch Recipe is from Garrett’s Supermarket. It’s not only perfect for a baby shower punch but would be delightful at a birthday party. 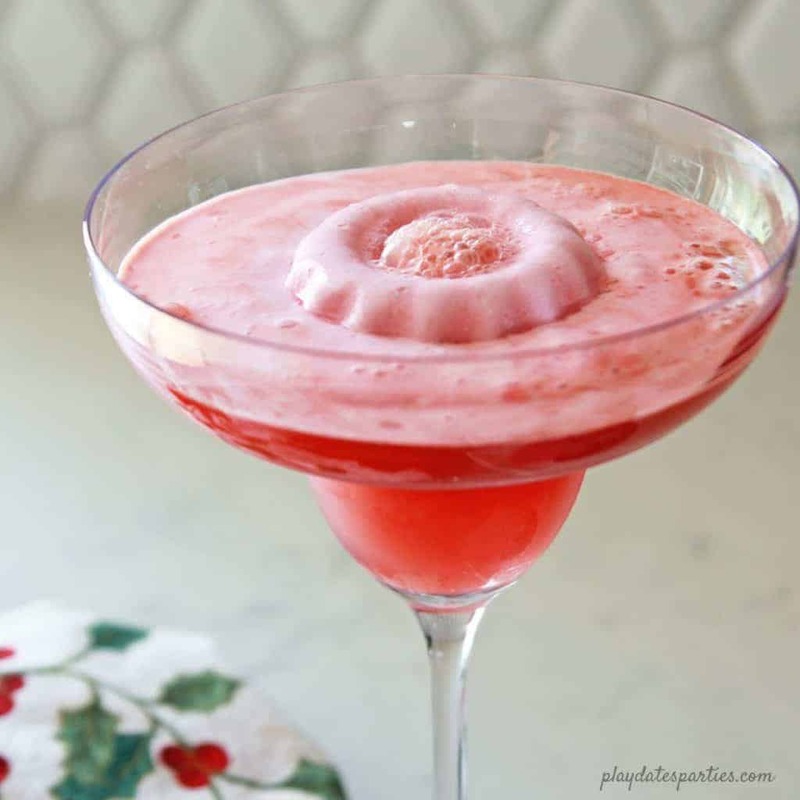 Krystin from Lil Luna has a great recipe for pink baby shower punch. 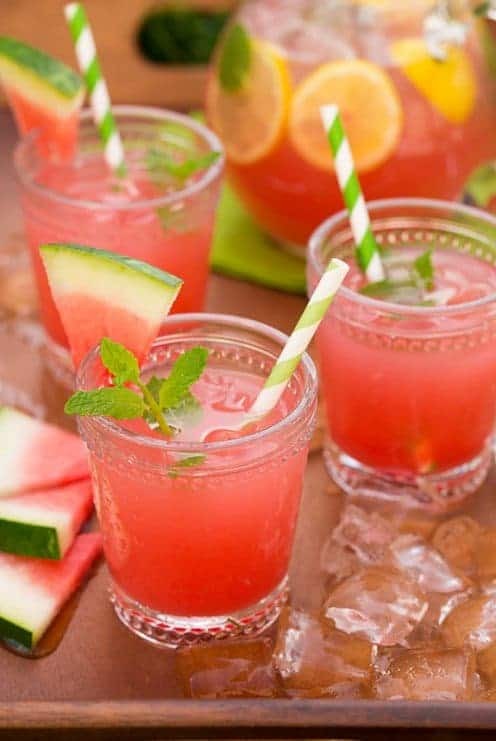 Refreshing Watermelon Punch from Erin at Suburban Simplicity is a beautiful shade of pink. 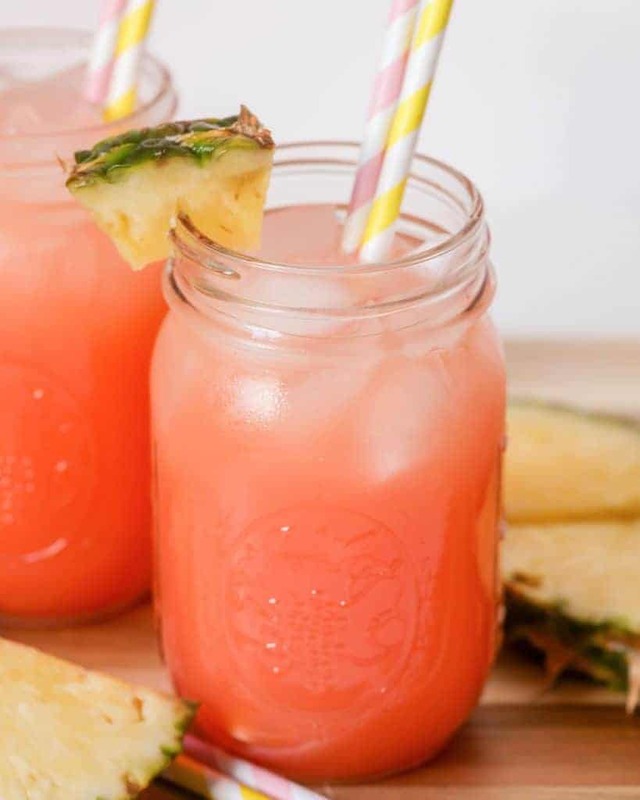 This recipe would make a great pink baby shower punch. This Cherry Berry Punch recipe from 7UP sure looks refreshing! 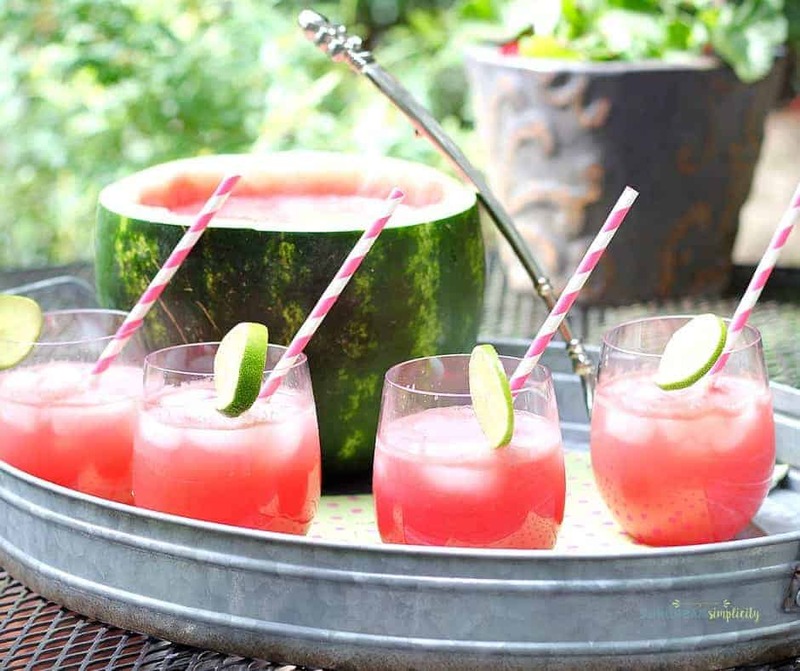 Here’s a Pink Baby Shower Punch Recipe from Leslie at From Playdate to Parties. This one uses raspberry sherbet. Yum! Any of these Pink or Blue Baby Shower Recipes would be awesome to serve at your baby shower. They would also be perfect for birthday parties, anniversary parties or any other large gathering of people. Pick your favorite and give it a try! Subscribe to our newsletter and get access to all of our games in the Member’s Only area.